From the incredible filmmaking team of Ron Clements and John Musker (“The Little Mermaid,” “The Princess and the Frog,” “Aladdin”), Walt Disney Animation Studios has revealed plans for Moana to hit theaters in late 2016. The CG-animated comedy-adventure is about a spirited teenager on an impossible mission to fulfill her ancestor’s quest. MOANA has finally found her voice in the new movie following a worldwide search to cast the film’s title character. 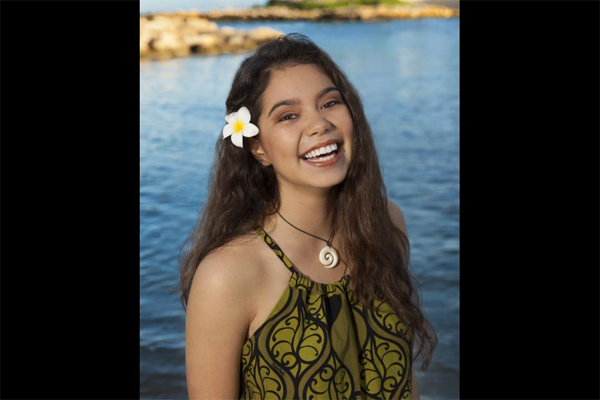 Native Hawaiian newcomer, Auli’i Cravalho, 14, will join Dwayne Johnson on the big-screen adventure. Check out the teaser trailer for Moana below! I have to say, I wasn’t as excited to see this just reading about the concept. I thought that maybe Disney was repeating itself after “LILO &’Stitch”. But, the trailer does look surprisingly good, and I like the actress who plays the title character very much. The directors are behind 3 of my top Disney picks, and since they’re all funny ones, it makes me really look forward to the movie!